While travelling around the world of social media, I have seen countless people and organizations claiming to be mental health advocates. It makes me wonder what exactly these people are doing by claiming that they are advocates? Have they advocated for a friend or loved one who as a mental illness? Do they write to their politicians with concerns regarding mental illness? Do they try and educate others about mental illnesses? Have they written a book or do they blog about it? There are so many ways to advocate and a lot of them are not listed. The reason I decided to write this blog is because I see so many people who call themselves advocates online and have to wonder exactly what they are doing as far as advocating. If you advocate for something, I would think that you should be able to explain why you call yourself that. You should also be working towards some goal. It is easy to call yourself an advocate, but if you are not actively trying to change something or fighting for what is right, can you really be considered an advocate? In my opinion, so many things need to be done when it comes to changing the mental health system. If all of these people who call themselves advocates are truly advocates, then think about the impact we all could have. I am not saying that people claiming to be advocates are not advocates. What I am saying is that we need to unite. Our voices would be heard! Trying to get other advocates to work together won’t be easy. However, I think it needs to be done to make the difference that we, as advocates, all want. 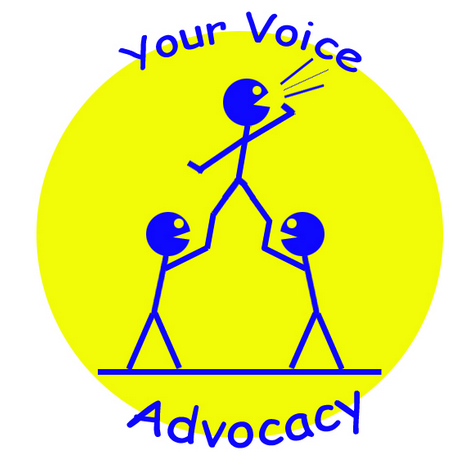 We as organizations need to unite to have a louder voice and Mental Health Advocates United is trying to get people together on Facebook and Twitter. This entry was posted in Uncategorized and tagged advocate, mental health, mental illness. Bookmark the permalink. 27 Responses to What is required to be a Mental Health Care Advocate? I think they are all really good points Michelle (I am also Michelle lol). I am also a Bipolar sufferer and have struggled for many years with my mental health issues. I write on my blog to try and help reduce the stigma around mental health and hope that sharing my experiences helps others. I guess that would make me technically an ‘advocate’ – but there is probably more I can do. You can email it to me at Mickey3333NCgmail.com and put in comments Feature Story. Besides being a writer and telling my story, I am on the board of my local MHA. I speak at our county library about bipolar disorder. I sign petitions on NAMI and get involved politically where possible. I can do more and need to. We all do. Especially for those who can’t who are in institutions permanently. You’re right, anyone can call themselves that. Initially, I did because of my book and helping each person I met with a question or need. Then I joined the MHA board to get a broader awareness and affect change through fundraising to assist those less fortunate. I like to think I have made a difference in peoples’ lives though there is so much to do. Each advocate contributes differently. The hope is that every person calling themselves an advocate is affecting change whether it is one person, one town, one constituency at a time. It is really overwhelming to know what needs to be done. We have such a small voice politically. I’m eternally grateful to NAMI, DBSA and MHA for advocating for us. That’s great that you are making such a great impact. I agree that we all can advocate in some way. I just hope that some day that all the advocacy groups start working together so that people with mental illnesses have a louder voice. Thanks for sharing your inspirational story and for all you do. Hello Bipolarbandit, my social media and online friend. I agree 100% with what your saying. There are literally thousands of people advocating for mental health in one form or another. How powerful would it be if we could all pull together! I’ve spoken to a couple of others about forming a group of mental health bloggers and we work together to all write about a certain topic with the same keywords and hashtags etc on a predetermined day each month.